Why is Change is Great for Authenticity? Well, there’s no escaping that change is the word of the moment! Funny thing is, life’s always been about change—though in recent decades life has also been fairly predictable. It’s an illusion for sure, but a pervasive one. This illusion of a predictable future totally squashes authenticity. Why? Because when you have a future that you can predict if you act a certain way or do certain things, you moderate and limit your present to serve a probable future. This sets deep patterns of mediocrity and living small—patterns that are most entrenched when life seems most predictable. 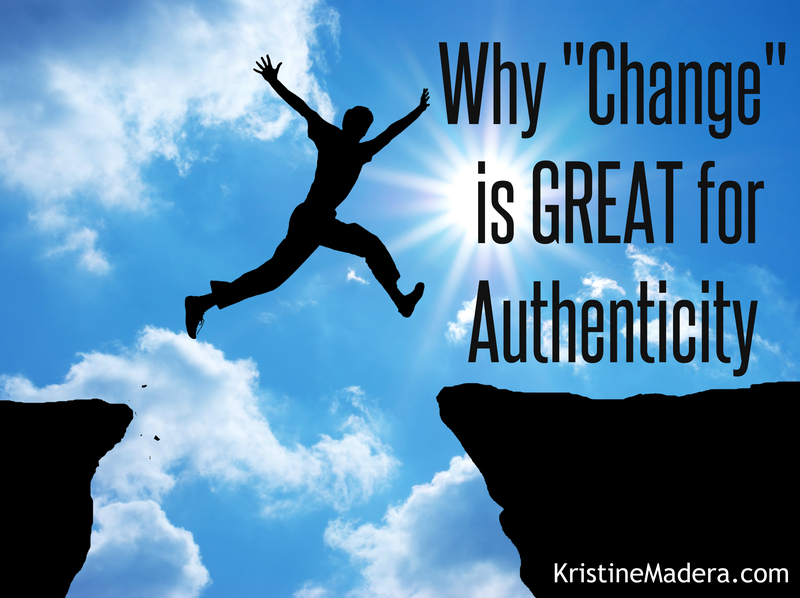 Why Change is Great for Authenticity! So what happens when the predictable future you counted on for is pulled out from under you? That’s what this era of change feels like to a lot of people. And that’s a great thing—for a lot of people. Change prompts two basic responses: expansion and fear. Fear is the default response of a brain and nervous system to uncertainly. Fear puts people into a defensive posture that can manifest in a lot of ways. They may hunker down and become hyper vigilant to protect themselves, or decide to expect the worst so they feel prepared, or simply to shut down. The other general way to respond to uncertainty is to expand into the freedom it gives you. This is why change is great for authenticity. The uncertainty that comes from being in changing times frees you from the illusion of predictability about the future, which allows you more freedom to express your most powerful, authentic self in the present—if you choose to. Choice is key! Change is great for authenticity because it is great for choice. When your default system has been to hedge your present for the future, your choices are often outside your awareness. You just make them without giving much thought. But when the future is unpredictable, your choices become more apparent and conscious and you make more mindful choices. It’s a bit of a double edged sword in a way, because regardless of the details of the choices you are more aware of, they boil down to two basic decisions: The choice to expand and express a more powerful and authentic you, or the choice to contract in fear and stay on the defense. But in times of “change” the experience of having a choice is much more apparent and expansion and contraction that results from your choice is more conscious. Basically, “change” helps you to live more consciously, and living more consciously is at the heart of true authenticity! By authenticity, I am referring to heart-centered authenticity—the truth of who you are beneath the learned and entrenched patterns of the mind and emotions. Living from true authenticity requires that you step out of your entrenched patterns and live in the freedom of choosing who you are in each moment. With no predictable future, you are free to chooses to express your most empowered self. 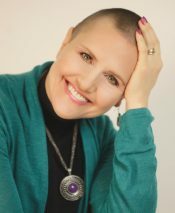 This time of change is great for authenticity because it rips away the illusion that there is anything but the present moment, and the challenge shifts from what you need to do to plan for the future to the challenge of being your most empowered, authentic person in the present, because being that in the present is how you create an empowered future. It’s simpler than you think to be your empowered, heart-centered self. In the video, I lead you through an exercise that starts at minute 7:30 so, play with me for a few minutes and get a taste of your Authentic Truth. Once you get this flavor, you can keep tapping into it and expanding into a deeper experience of it—and of you! This truly is a magical time. Use it to live your most authentic truth! Essential Oils to Help You Choose Authenticity in Changing Times! It’s no secret that I LOVE essential oils for lots of things, but they are also wonderful for supporting you to go deeper into your authentic truth. Because while it’s true that change is great for authenticity, it’s also true that it can feel a little scary to step into your authentic truth in the moment. So here are three oils to help you do that! Frankincense: The Oil of Truth. Frankincense helps you tap into your authentic truth because it helps to illuminate self-deception as well as open you to new perspectives and deeper levels of truth. It supports spiritual understanding, inner wisdom and strengthening your inner light. On a physiological level is helps stabilize mood and supports healthy neurological function, both of which are pivotal to expressing authenticity in an empowering way. Use it along the cervical spine, over the heart, on the forehead or top of head or even on the bottoms of your feet, and hold the intention of coming into a deeper experience of your authentic truth. Black Pepper: The Oil of Courage. Living authentically can bring up a lot of old fears. 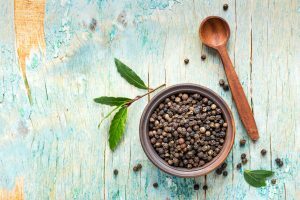 Black pepper is a warming oil that is especially helpful in digging beneath the surface fears and beliefs to the truth beneath, and boosting your courage to live from that deeper layer of truth. It also fuels the motivation to overcome challenges and make the changes you need to live a more authentic life. On a physical level, Black Pepper supports immune function, healthy circulation and breaking addictions. It’s a warm/hot oil, so use it on the bottoms of your feet with the intention of increasing your courage to see and live your highest truth. Peppermint: Oil of the Buoyant Heart. It’s important to remember to have fun and be joyful on the journey of authenticity—especially in times of great change! Peppermint helps remind you to let go of fear and discouragement and to embrace happiness and joy. On a physical level, peppermint supports healthy digestion, can provide natural pain relief and can boost mental and physical energy. Use Peppermint on your heart (dilute with a carrier oil if necessary), on anywhere that is experiencing pain (dilute with a carrier oil if necessary) or on the bottoms of your feet with the intention of letting go of pain and opening to the joy of being alive.